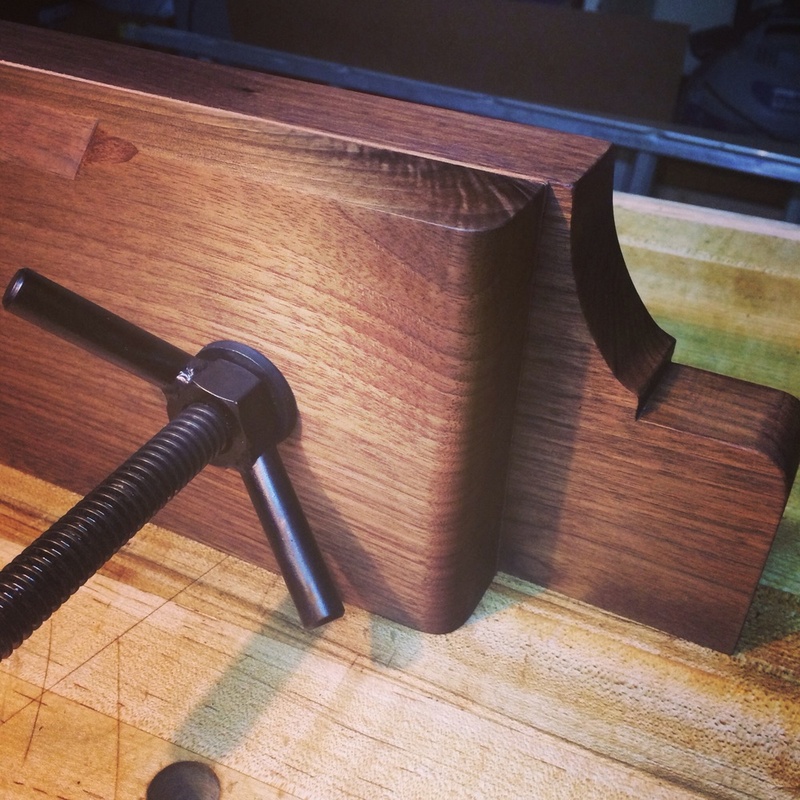 With all of the recent interest in the Moxon vise, how could I not want one?? The benefits are readily apparent. I can easily see how this simple tool can assist me in the shop in multiple ways. What I didn't like were the higher prices listed for some of the readily available kits. While I understand the costs involved in research and the manufacturing process, I just couldn't bring myself to drop that kind of cash. And wood screws were not an option for me. I don't have a lathe. I don't have a wood thread kit. And I just prefer metal when it comes to screws. 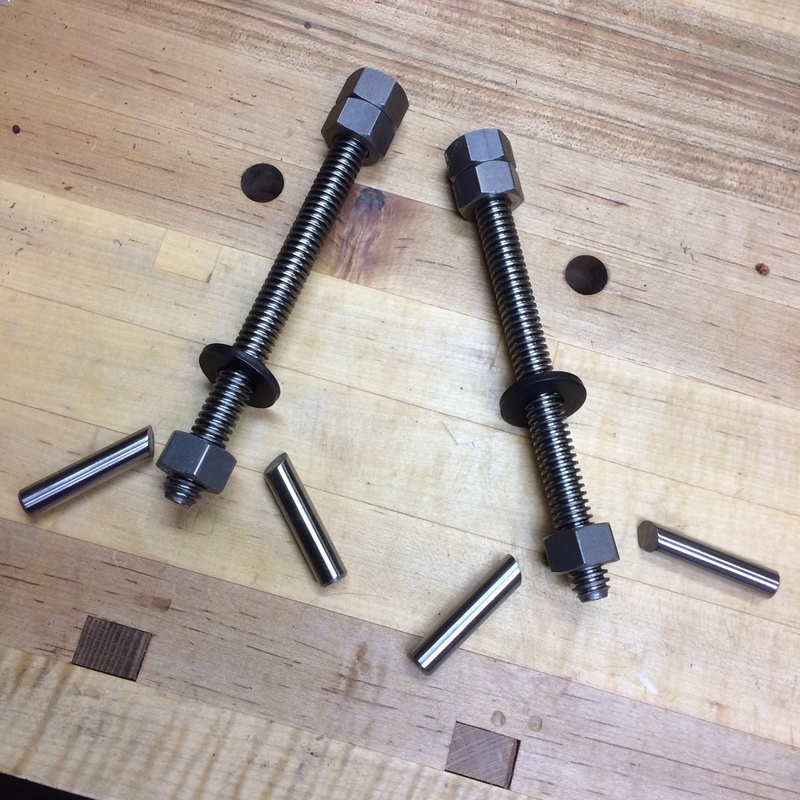 So, I decided to kick my brain cells into high gear and figure out a way to build a Moxon on the cheap, without sacrificing any of the abilities of the kits available at this time. 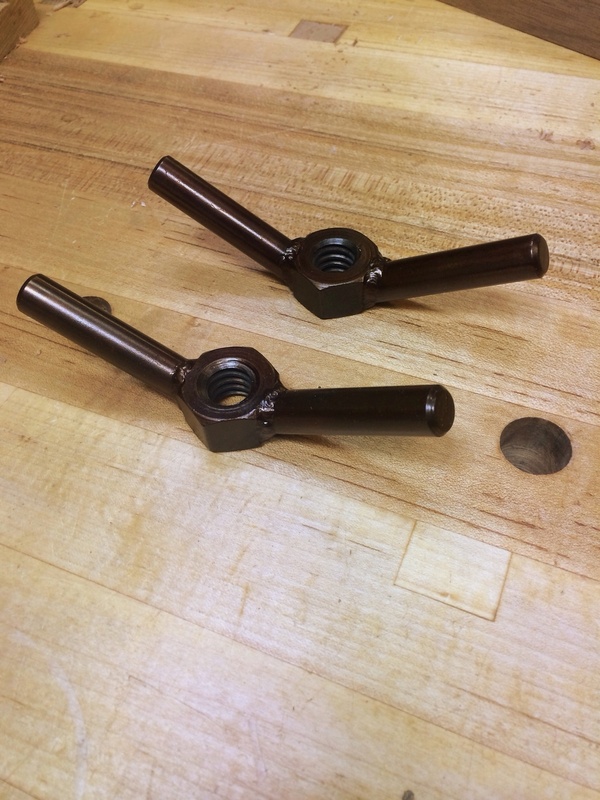 Enco supply had a sale recently on Acme rod and nuts. I purchased a three foot section of 5/8-8tpi rod for $9.99. The nuts were just over $1 each and the washers were equally affordable. I went with 5/8" instead of the 3/4" offered by other companies for one reason, the total clamping capacity of my vise will be 13.5", not 24". 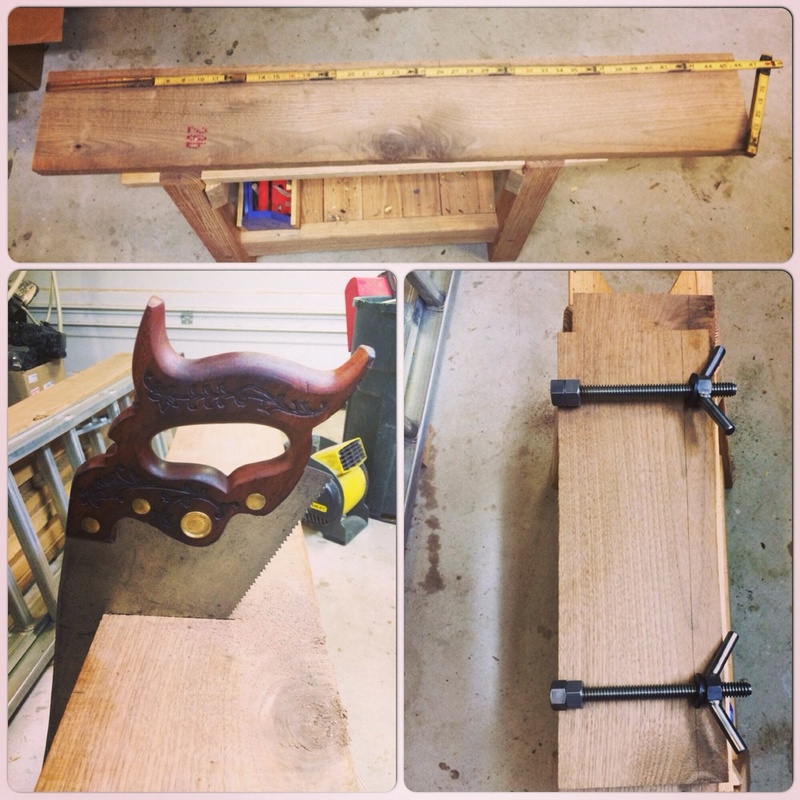 I have the Lee Valley twin screw vise on my bench that has a capacity of around 25". Any large case work can be clamped in there. I needed something for the more common work that I do. I started out by using a cut off wheel in my grinder to cut two 8" lengths of the rod. I also purchased a length of 1/2" barstock from Home Depot to use for the "wing nuts". I cut it down using the same cut off wheel. I chucked it up in my drill press and cleaned it up with some sandpaper. I made a trip to my buddy's house to try out his new TIG welder. It really simplified the process! I forgot how much I enjoy TIG welding! These handles should be able to handle anything I can throw at them. Instead of leaving the steel bare, or covering it in a thick layer of paint, I opted for the flax oil technique outlined over at benchcrafted.com. Jameel has an excellent write up on the corrosion resistant finish. I love the chocolate bronze color that this process brings forth! I had a chunk of 6/4 walnut left over from a previous commission project. It was just the right size for what I had intended. I broke out my trusty Atkins panel crosscut saw and went to work. After drilling the holes through both jaws for the threaded rod, it was time to cut the mortises in the back jaw for the nuts to sit into. I aligned both nuts with a straight edge and marked the outlines with my knife. Using a combination of my mortise chisel, bench chisel, and router plane, I made quick work of the recesses. The rest of the build wasn't documented as heavily as the first part. Just basic run of the mill stuff that has been covered one hundred times over. It involves the shaping of the moveable jaw and the decorative cut outs on the back jaw. I also glued the leather face to the moveable jaw using hide glue. Instead of clamping my vise to the bench, I opted for creating flat tabs on each end of the rear jaw for my holdfasts to clamp down on. A few coats of boiled linseed oil and some paste wax finished it off. 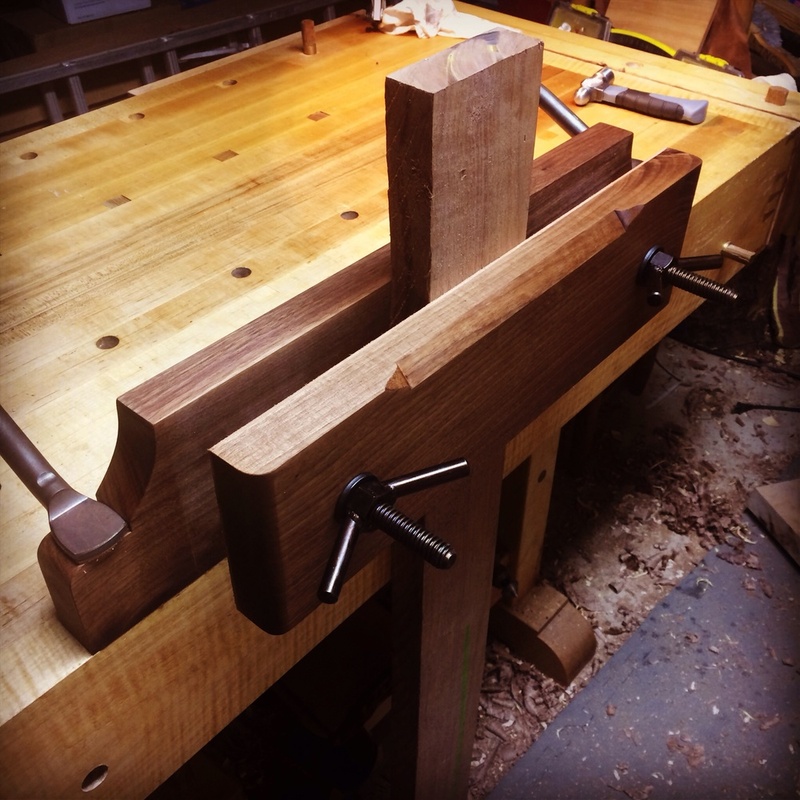 This vise was a great project. Only took a few hours of time and a minimum investment. Total cost involved was right at $10. 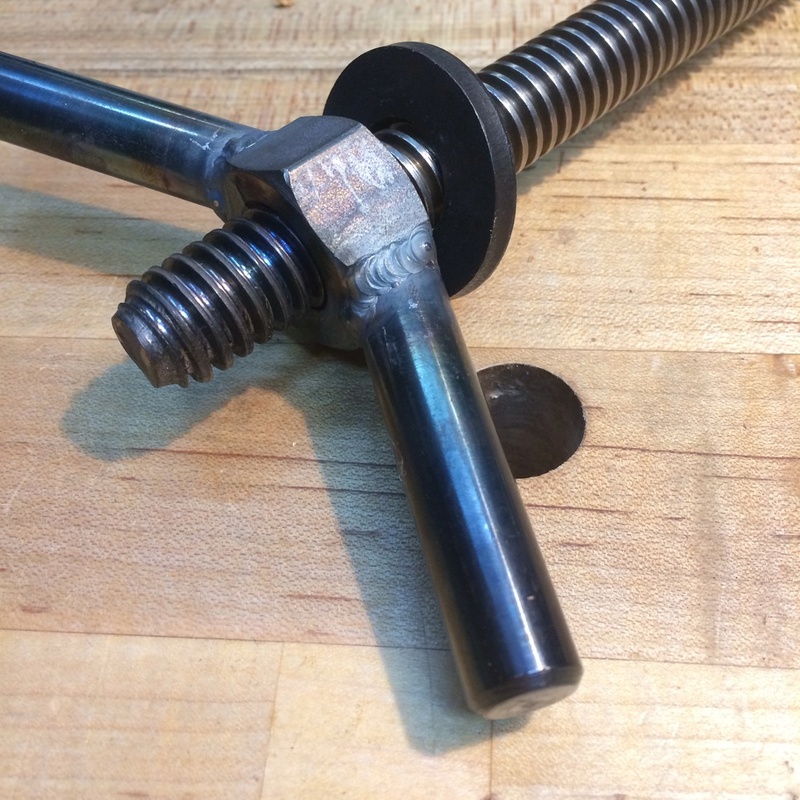 I still have enough threaded rod for another vise! Clamping power is insane. And the work is brought up to the perfect height for sawing.